Students can keep track of their "paychecks" for each week. This form is fully editable and you can tweek it for your classroom. 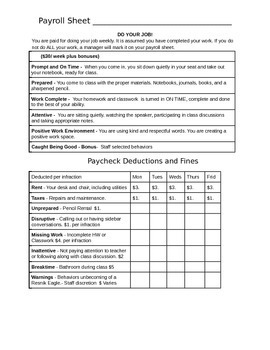 Use it to track behaviors and homework assignments during your economy unit.